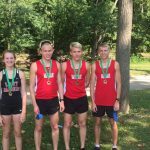 The Boys and Girls Cross Country Teams competed on Saturday at the New Haven Invite despite the extreme heat levels. 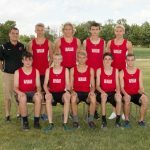 The meet was ran on the campus of IPFW at the site of the IHSAA Semi-State. 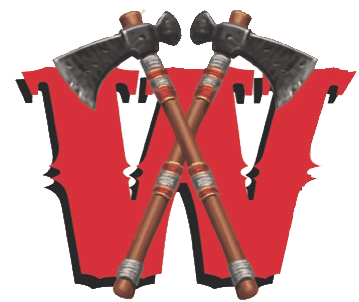 The WHS Girls had two runners place in the top 30 receiving medals. 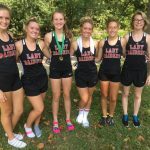 Congratulations Sophomore Lexi Wulff and Junior Olivia Neal. 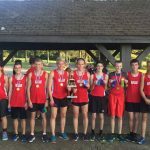 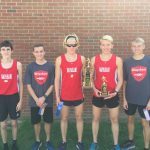 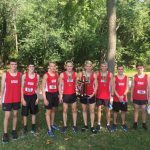 The Wapahani Boys XC Team traveled to Yorktown on Saturday Morning to win their 2nd consecutive invite with a hard fought victory over schools from Delaware and Grant County. 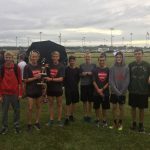 The Raiders started their season on Tuesday with a win at the Union (Modoc) Invite then followed it up with a great performance on Saturday morning.